HENLEY Hawks have appointed a new head coach. Luke Allen, the club’s former forwards coach, replaces Pete Davies who stepped down last week at the end of a season in which the Hawks finished in ninth place in Division 2 South. Allen joined Henley as a player in 2013 from Cinderford where he had had a successful playing career for three seasons. In statement the club said: “The club is pleased to announce that Luke Allen has been appointed head coach for Henley Hawks for the 2018/19 season. “Luke joined the Hawks back in 2013 as a back row forward having played previously at Cinderford and Cardiff Met. Unfortunately, injury meant he was forced to retire but soon established himself as a formidable coach. He was an integral part of the coaching team that saw the Hawks promoted to National 1 in 2015. “He is joined by senior coach Tom Gardner who is also an ex-Hawks player and part of the squad for the 2014/15 and 2015/16 seasons. Tom has also been part of the RAF coaching squad who have recently won the Inter Services Championship. “Joining the Hawks coaching team will be Tommy Haynes and James Hadfield. In addition, Andy Jones has relinquished his role as Bulls coach and manager but joins the Hawks coaching and match day team. Davies led the club through two promotion seasons in 2012/13 and 2014/15 with the side relegated from National Division 1 the following year on both occasions. 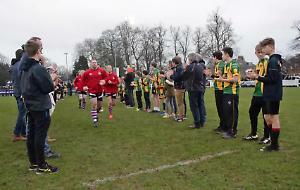 This season the Hawks looked set for a top six finish after a slow start to the season but ended their campaign with five successive defeats, the last of which was a 52-0 drubbing away to local rivals Redingensians.